I feel guilty for not updating my food blog frequently. To be honest, I have tons of pending food and restaurant post that I wanted to share but is just too tired (and a bit lazy) to do so. So many things happened since the year 2013 started and I'm overwhelmed with the turn of events but is very greatly for the blessings that my family have been receiving most especially the unexpected ones. On the other hand, there are some stressful situations also (although not mine) that I need time to relax and unwind so that I can think clearly and offer a sincere advice. I don't want to elaborate but I've included a very good friend and her family in my prayers lately. Also, daughter's nose has been buried under a pile of reviewers since last week. School ends this Wednesday and then we're off somewhere up high. Another reason why I can't seem to sit in front of "Sakura" (the laptop) for a long period of time. I need to pack clothes, make to-do-list, etc. ... meet my new baby !!! Its a foldable bicycle, the surplus kind but refurbished. 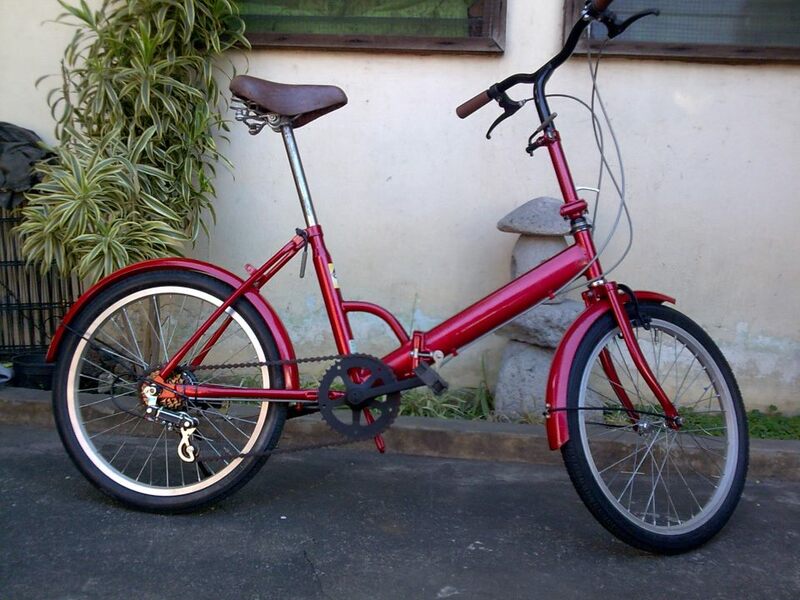 I'm not really picky this time because this is literally the first bicycle that I own (still in transit). Thank you to my hubby for this wonderful anniversary gift. Yey !!!!!!!!!!!!!!!!!! Special HAPPY BIRTHDAY shoutout to Trisha, my daughter's bestest friend since Prep I.